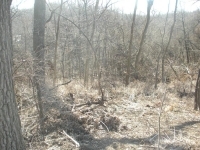 Do you have a tree down in your ravine, or overgrown creek banks? 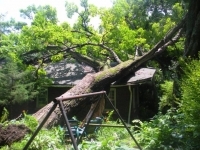 Do you have a large, old tree in your back yard towering over yours and your neighbor’s houses? No problem! 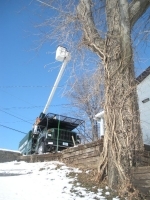 Economy prides itself in being the only tree service formally trained in difficult terrain situations in the entire Quad Cities. Scott’s knowledge and experience is unparalleled. Difficult terrain is not something to take lightly. 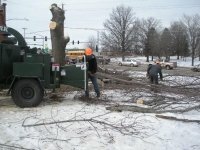 Economy Tree Service offers 24-Hour Emergency Service to the entire Quad Cites Area at no additional charge. 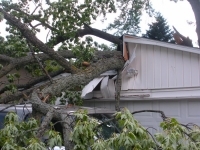 When you wake up in the middle of a storm to find your tree split in half and your family in danger, Economy will take care of the mess and give you peace of mind. 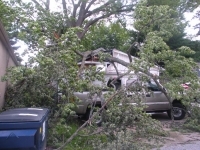 Economy Tree Service has knowledge and equipment to clear land safely and ready it for whatever project you have planned for the space. 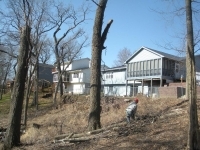 Economy can clear the lot, grade and sod the yard, and remove selected trees for your building site. Economy will help you select the right trees to remove, ensuring every effort is made to keep as many trees as possible. 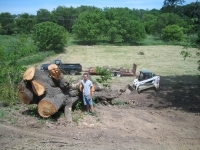 We offer split hardwood, you can buy a face cord, half cord, or a full size load that has 2.5 cords of wood. 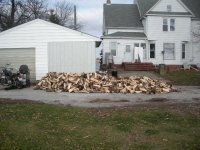 We will also deliver bonfire wood as well perfect for campers or hunters. We are available for chipping services. We will come to your site and chip natural material that you cut, this is charged at anhourly rate with a two hour minimum. 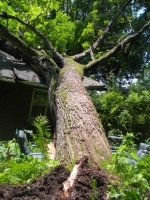 Economy Tree Service is available for consultations for a complete work up, including soil tests. 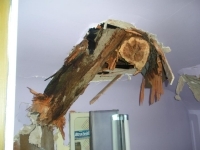 A full tree health consultation will help your manage your trees and include any yearly maintenance costs in your budget. 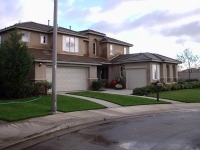 Generally the cost of a full consultation is around $350.00, size and access often dictate the price, and soil tests are available at an additional charge. Trees lower air temperature by evaporating water in their leaves.